Ascorbic Acid （vitamin C）is a white or slightly yellow crystals or powder,a little acid.m.p.190℃-192℃，easily soluble in water,a little soluble in alcohol and uneasily soluble in Ether and chlorofom and other organic solvent. In solid state it is stable in air.Its water solution is easliy mutated when it meets with air. Oxidative browning often occurs in process and storage of fruit and vegetable, which we do not want happen from the view of economic point. Therefore, Ascorbic Acid is widely used to prevent oxidative browning of the fruit and vegetable products as an effective phenolic inhibitors. The special flavor of food often bastardizes in the process. For example, the change of the special flavor will be prevented with added in 0.005% -0.02% of Ascorbic Acid in the storage of juice. 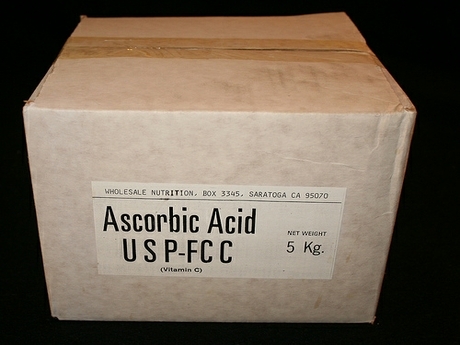 Ascorbic Acid also can improve the special flavor of beer and wine. As a water-soluble antioxidant, Ascorbic Acid can prevent corrosion from tin plated steel sheet of the container inner wall. Ascorbic Acid has a strong reduction and it can be used as antioxidant synergist to prevent rancidity of fats in greasy food. Sidley chem is one of the most famous Ascorbic Acid suppliers in China. 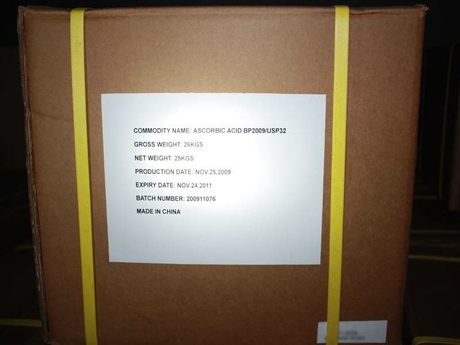 If you buy Ascorbic Acid or inquiry Ascorbic Acid price, please e-mail us through: Sales@visitchem.com to contact us.